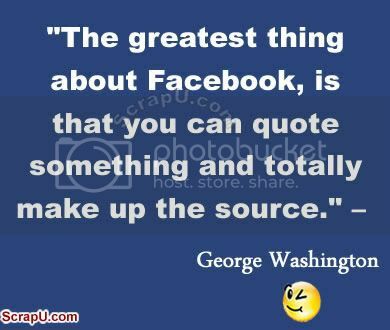 Facebook Rocks !! 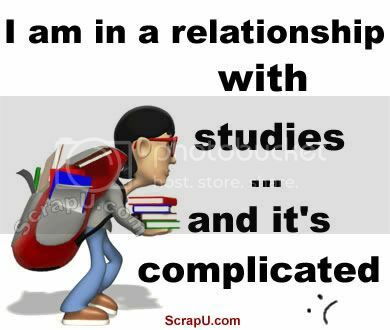 It's very popular among all the age groups. 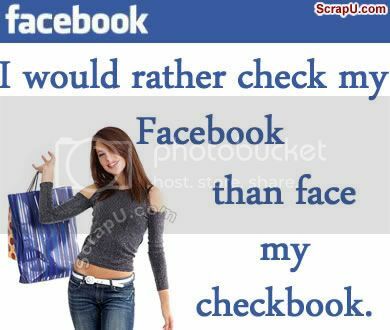 Facebook has become the main social networking site to keep in touch with our friends and family. 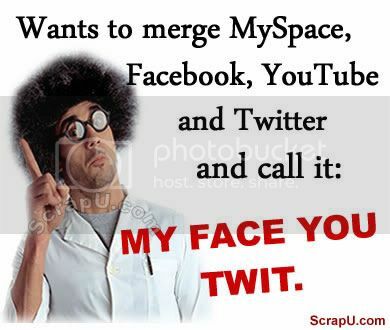 Wants to merge Myspace, Facebook, Youtube and Twitter and call it - My Face You Twit. 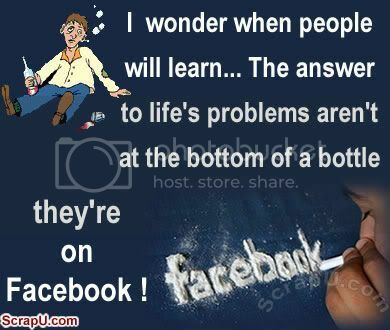 I wonder when people will learn...the answer to life's problem aren't at the bottom of a bottle...they are on Facebook. 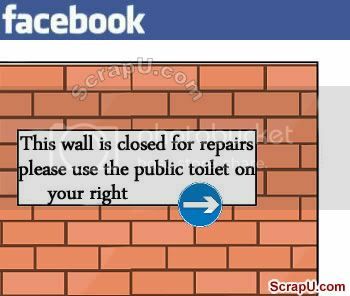 This wall is closed for repairs, please use the public toilet on your right. 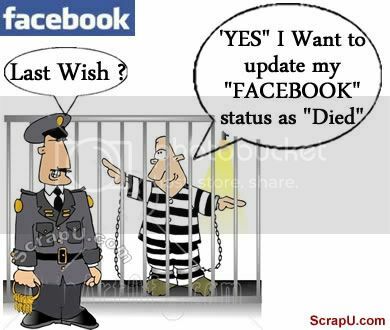 I want to update my Facebook status as DIED.